PCTI is a Macon company located on Washington Ave. Image courtesy PCTI. The selected candidate will work as part of an established and collaborative development, design, and project management team to support the creation and maintenance of mission-critical web-based and mobile software applications and high visibility/high demand websites. Candidates will work on multiple related projects at any given time. Daily work touches on projects in all stages of development ranging from requirements gathering, conceptualization/architecture, development, implementation, testing, maintenance and refactoring. In addition to development efforts, work and responsibilities at this level will include the coordination of resources and project planning through interaction with the team’s project managers, mentoring more junior developers, and proposing new solutions and technologies where appropriate. This position requires experience commensurate to a senior level programmer with at least 5+ years experience in website and web application development. Developing in ASP.NET (MVC) using VB.NET and thorough HTML/HTML5 experience. An understanding of and experience in n-tier Object Oriented Development is a must. Experience in building and implementing relational database structures for storing and accessing large scale data using parameterized queries and T-SQL, particularly under SQL Server 2008+ is also a requirement. Demonstrated experience with WCF, web services, OAUTH, REST, responsive development, native mobile development (iOS, Android, and Windows), unit testing, and applications which provide and/or consume data feeds (XML, JSON, RSS, etc) is highly desirable. A basic understanding of Section 508 compliance and advanced methods of delivering accessible dynamic web content is a significant plus. Experience implementing, maintaining, and working in open source and community supported content management systems is also advantageous. Previous experience in leading a team in an Agile Scrum project management environment is highly favorable as well. Candidates must be team oriented, have strong written and oral communications, client contact skills, and a keen interest in software development. A record of successfully improving existing systems and processes and automating or improving the efficiency of manual processes is advantageous. Previous work in a high demand and high visibility web environment is beneficial. Selected candidates will be required to handle multiple tasks simultaneously. PCTI offers excellent benefits and highly competitive salaries. Applicant must be willing to undergo a U.S. Government background investigation. 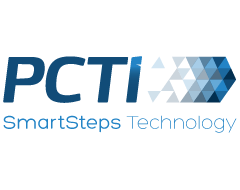 PCTI is a Macon company that was founded in 1989 in order to provide IT solutions to industry and government clients. For more information visit their website.